Your company has many ongoing needs: to better organize and safeguard business information, to communicate effectively and professionally with customers and suppliers, and to make the most of your existing computers and office equipment. Introducing the right technology into your business can help you accomplish these goals and save you time and money, keeping you focused on your business, not on technology. The foundation of an effective technology solution starts with a server. Do any of these sound familiar? Servers can play a strategic role in businesses of all sizes, helping companies do more with less to realize cost savings and profitability. The Windows Server family of products offers a comprehensive portfolio of server offerings to meet the diverse needs of businesses today, from stand-alone Windows operating systems to tailored solution suites designed specifically for small businesses. 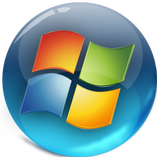 Your business can choose a genuine Windows Server offering that is right for your budget. A server can help you organize your business to be more efficient and more secure, helping you to get more done while saving you time and money. Selecting the right solution for you Choosing the right solution for your business is too important to leave to chance. MA Technology Solutions can you help select, install, and optimize the productivity of small business solutions and also offer a wide range of services or support. Cisco’s broad range of small business products, which means that we’re ready to be your technology partner—both today and as you grow. With Cisco Small Business Solutions, you get the networking and communications technology you need, when and how you need it, so you can get more done in less time. As the leader in networking and communications, Cisco is already helping small businesses around the world work better. And you can rely on MA Technology Solutions and Cisco to help your business too. For an insight into the solution that will do this for you contact us today. MA Technology Solutions can assist in shaping your organisations future. Unlike other business solutions that are more expensive and not suited to your needs our solutions are specifically designed and implemented to meet your actual needs; resulting in an increase in operational efficiency, a reduction in costs and an improvement in your ability to provide services and products to your customers.